Gawber Hall was a timber framed Elizabethan farm house located a few miles to the North West of Barnsley town centre. Images of it can be seen in the booklet on the Tate Family of artists in the Artists’ section of this website. Gawber Glass Works was built around 1733/35 by William Thorp, his nephew Paul Tate, glassmaker William Morton and others; it produced glass until 1821. 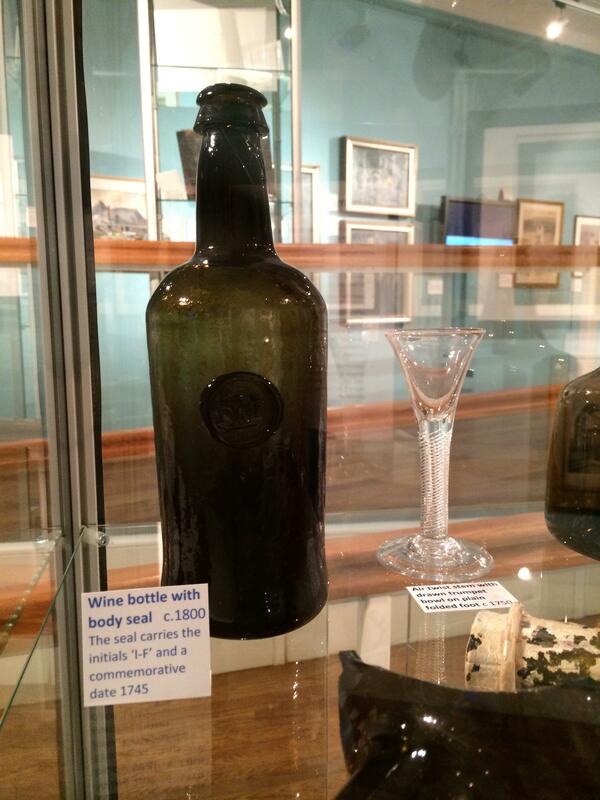 It had a strong reputation for ‘black‘ bottles in the late 18th century; examples of what these were like were shown in the Hidden Art of Barnsley exhibition in 2014. Denis Ashurst also found evidence of an earlier glass furnace when he carried out excavations on the site in the 1960’s. There were links between glassmaking and art in Barnsley as described in the booklet on Glassmaking and Art in the Artists’ section of the website. BAYD wished to illustrate the setting and environment of the lost Gawber Glass Works and Gawber Hall which had disappeared in the 19th and 20th century respectively. At the end of Autumn 2013, they approached Diane Hartshorn, the tutor at Barnsley College on the BTEC Extended Diploma in Games Design level 3 to see if students might be interested in this as a project. The College felt that it would be a good practical project for the 40 students on the course. BAYD prepared a detailed brief requesting a short DVD and provided a map as below and many other resources and illustrations including the Report by Denis Ashurst of his 1960’s excavation. Fragments from this excavation were also shown in the exhibition. 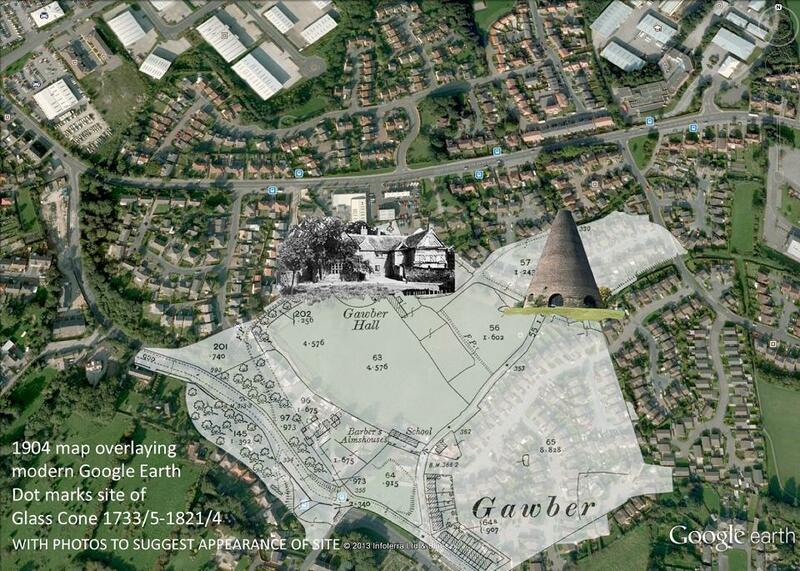 Map of Gawber from current (2014) Google Earth image with an overlay of the 1904 map from Barnsley Archives. Photographs of Gawber Hall in the 20th century are available but the Glass Works disappeared in the 19th century. However it is very likely that it had a similar appearance to the existing glassmaking cone located at Catcliffe in Rotherham which was built only a few years later in 1740. Using the drawings from the Gawber excavation, the students used Catcliffe glassmaking cone as a model for their DVD. Awards (from private sponsors) to recognize the quality of their work have been given to Phoebe Jackson, Gage Bolton, Eddie Hall and Tom Price for their excellent efforts to produce such an historic DVD. The following students have also contributed: Ash Jacobs, Brandon Kitchen, Tom Smith, David Brooks, Joel Beck, Brad Brown-Lang, Matt Bramley and Oliver Smedley. Huge thanks to everyone, to Diane their tutor and also James Allen who has supported the groups.